Centurion Setup 23.0 Free Download - builds a professional software installer in a self-contained executable. 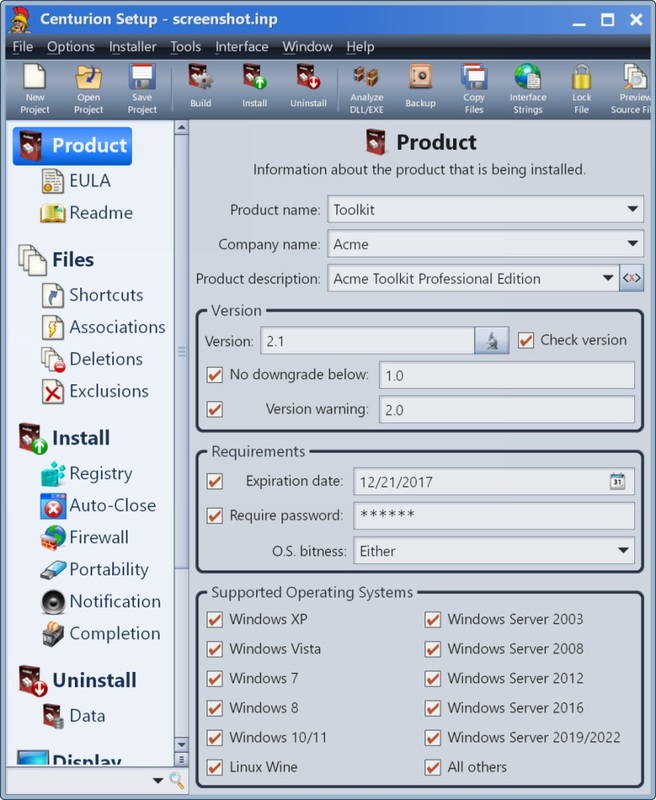 builds a professional software installer in a self-contained executable. ready to distribute your software masterpiece? don't wrestle for weeks with a complicated installation builder. spend just a few minutes with centurion setup, and it will build a professional software installer for windows in a self-contained, compressed executable. it supports multiple languages, interface customization, dll installation, patching, password protection, and much more. builds a professional software installer in a self-contained executable..
generates random, artificial words using a configurable method of construction..
windows software for distributing email leads to a sales staff..
serlog is a server log analyzer that answers crucial marketing questions..
a complete solution for running email campaigns..
an essential tool for managing a song library and generating playlists..
a tool for organizing personal information in a 'tree' strucutre..
an email client with advanced security and spam filtering features..
search/replace multiple substrings in multiple files..